Home Unlabelled Labour Party Crisis: Court bars Abdulsalam from party secretariat. Labour Party Crisis: Court bars Abdulsalam from party secretariat. 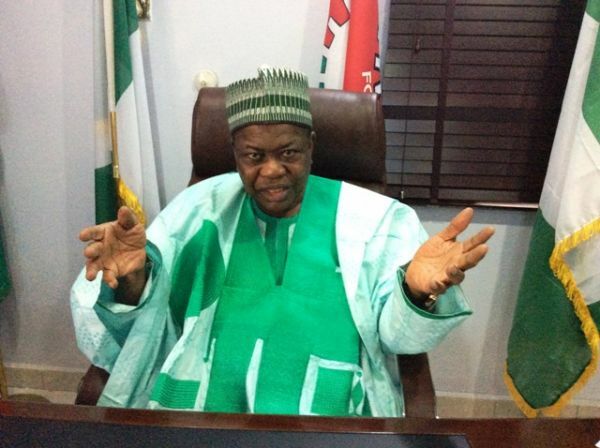 An Abuja Area Court order has barred former national chairman of Labour Party, Alhaji Abdulkadir Abdulsalam from entering the national secretariat of the party in Abuja. The court ‎order which was issued on January 29th, 2018 has Barrister Julius Abure, Labour Party National Secretary and Chief Calistus Okafor, Deputy National Chairman as complainants restrains the embattled former National Chairman, Abdulsalam or his representative from stepping into the party office and to stop parading himself within the properties of the party office pending the hearing and determination of the motion on notice. Hon. Justice Aliyu Ibrahim while granting the order said, "the defendant/respondent is hereby restrained either in person by his Prives, Agents or any person or body claiming through him from trespassing or stepping into the party office and to stop interference with the properties of the party and the office (Labour Party) pending the hearing and determination of the motion on notice." ‎The crisis in the Labour Party has festered due to the inability of the Independent National Electoral Commission, INEC to recognize the Dr. Mike Omotosho as the acting National Chairman after the National Convention of the party held on the 3rd of October 2017 has validly removed Alhaji Abdulsalam ‎as the substantive chairman of the party. The party had earlier in a petition to the Commissioner of Police, FCT command in December alleged that the inability of INEC Chairman, Prof. Mahmood Yakubu ‎from respecting the outcome of the party's convention is capable of jeopardize Labour Party as well as posing a threat to National security and peaceful co-exiatence of the party. Alhaji Abdulsalam was accused of financial recklessness, breach of trust, forgery, misappropriation and criminal intimidation. According to the petition the party alleged that Abdulsalam "recruited the services of heavily armed thugs and forcefully chased out staff and 19 members of the National Working Committee from the office. At the moment our office is occupied by heavily armed thugs. We are however amazed at the highest level of impunity and oppression which we have been subjected to in our own country especially in the 21st century under the administration of our amiable president who has zero tolerance for corruption."